November 6th 2017 is the 800th anniversary of The Charter of The Forest – a landmark document in English law which guaranteed common people access to royal lands to forage, graze their animals, gather wood for fuel and building and to conduct small scale farming. 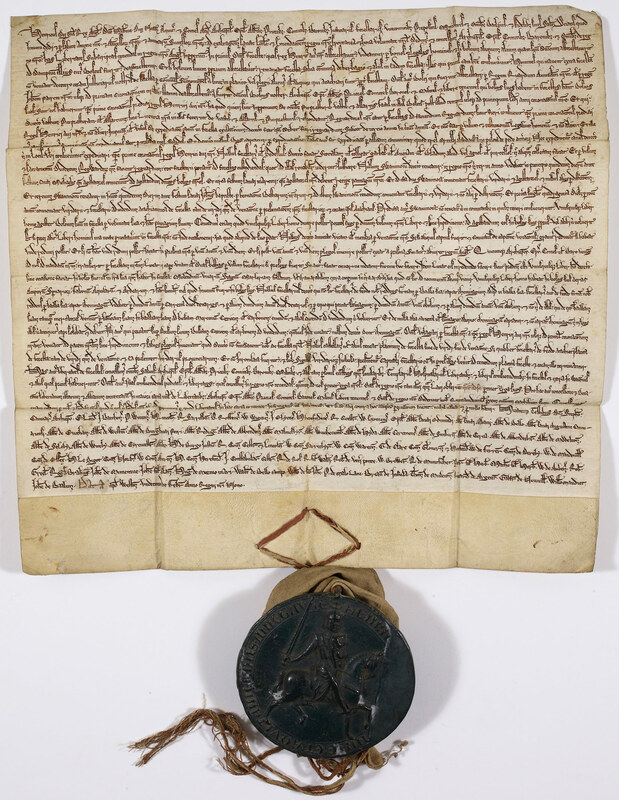 Coming two years after the Magna Carta whose benefits were limited to a small number of barons, the Charter of the Forest set out a “a system of governance for the common stewardship of shared resources”, an early understanding of the importance of mutuality and reciprocity between people and living natural systems. Since England was covered by roughly two thirds forest – much of which was “royal” land, this was the equivalent of guaranteeing that the poorest people would be able to subsist off the land without fear of the harsh punishments that had been imposed in the late 1080s by King William II (“Rufus”) and later by King Henry II. The charter also granted smallholders rights to farm: “Henceforth every freeman, in his wood or on his land that he has in the forest, may with impunity make a mill, fish-preserve, pond, marl-pit, ditch or arable in cultivated land outside coverts, provided that no injury is thereby given to any neighbour.” In this respect, the charter’s guarantees may have provided inspiration for critical thinkers such as Thomas Paine, whose books Common Sense, Rights of Man and Agrarian Justice set out key concepts of liberty, governance and equitable access to the commonwealth (such as a universal basic income). 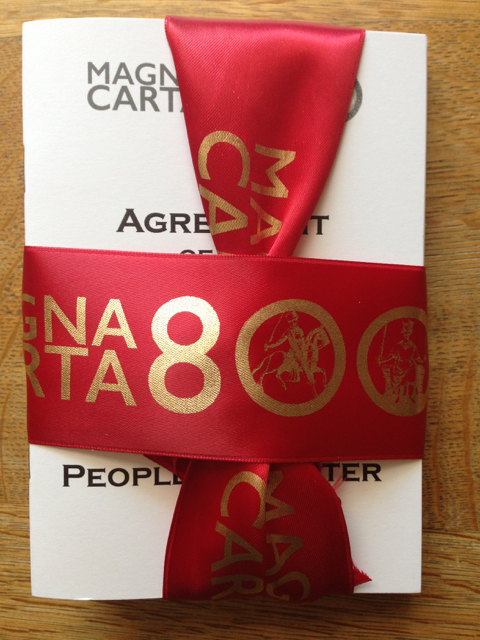 The Charter of the Forest is included in the set of books I published in 2015 celebrating the 800th anniversary of Magna Carta – read it online, download and make up your own copy, or purchase one of the last remaining sets (bound with red silk). The digital revolution and the growth of network communications has led to an extraordinary profusion of new types of ‘commons’ whilst, at the same time, seeing a breathtakingly rapid enclosure of these ‘commons’ by a handful of global corporations. Their rise to pre-eminence over the initially fragmented and anarchic world wide web has been swift yet is by no means certain or secure. The growing scandal of electoral interference via social media advertising in the 2016 US election and Brexit Referendum (as well as reported hacking in the 2017 French presidential election) has exposed just how vulnerable to (if not complicit in) uncivil, anti-democratic action these platforms are. Coupled with the Snowden revelations of blanket surveillance by US & UK government agencies (no doubt mirrored to some degree by other governments elsewhere) we can see that these technologies are fundamentally imbalanced in favour of large, opaque institutions and corporations. Its clear that the digital realm will need more than just bland promises to act well from those who seek to profit from it most. It is as intrinsically a network of sites and places where humans come together to interact as any other traditional places where rules, laws and social conventions define the ways in which we behave in our own interests without harming others. Those who have power in these spaces are, from time to time, held accountable and required to act with responsibility. Such conventions differ across cultures, societies and jurisdictions and there have been (and remain) many notable exceptions, severe imbalances and asymmetries. In our uncertain times, it is to models of stewardship of the commons like the Charter of the Forest that we could look for precedents in developing compacts – about the kind of world we want to live in – between ordinary people and those who have power. 2018 will see the adoption across the European Union of the General Data Protection Regulation (GDPR) – what is probably the most important shift in how we will come to use digital technologies in recent memory. The GDPR creates some new rights for individuals and strengthens certain existing rights: to be informed; of access; to rectification; to erasure; to restrict processing; to data portability; to object; and, in relation to automated decision making and profiling. It also regulates data ‘controllers’ and ‘processors’ to be accountable in demonstrable ways and to maintain comprehensive records of all data control and processing. There are, however, significant loopholes (via the derogations) that may well be exploitable by governments, public agencies and corporations in spite of the GDPR’s provisions. Others have also sought to find complementary ways to negotiate the boundaries between platforms and users: one noteworthy attempt (which I made a small contribution to) is the Social Charter for Smart Platforms, created as part of the EU’s Smart Society research project. Such charters are, I believe, fundamentally different from some of the more exotic technological attempts to ‘automate’ trust by devolving conscious responsibilities and observation of mutual obligations to background processes – such as the ‘blockchain‘. These simply replace one set of powerful people at the centre of key social processes (bankers, politicians, lawyers etc) for another set (engineers & programmers) who understand and can manipulate the fiendish complexities of its computational processes. If anything, I believe we need to rely less on automated systems that replace human consciousness, and focus more on engaging people to feel their own agency in participating in the relationships that drive our societies and cultures. What I think the Charter of the Forest offers us is a model for how we can come to describe things that are beyond private ownership – things that belong to a commonwealth we can all share in, nurture and harvest from. How our current generations steward these resources, be they tangible systems of living nature, physical resources or intangible ideas and knowledge is what is at stake. 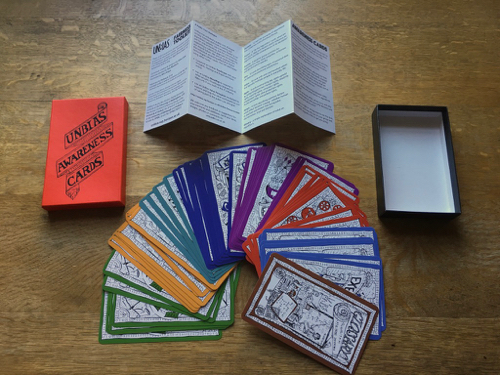 After the horrors of the Second World War and the upheavals of the mid-Twentieth Century, it seemed as though there was a chance that a fairer world was slowly emerging. But relentless greed and the modern day enclosures of wealth and resources principally via privatisation of national assets, the sequestration and obscuring of wealth in tax havens away from its fair contribution to taxation, these factors have dire historical precedents and echoes. Increasing inequality, reducing fairness and commonality have only ever resulted in catastrophic civilisational upsets or collapse. Coupled with impending climate change the pressure for radical change in how we share our world and govern our polities can only build up so much before something ruptures. This entry was posted in Observations and tagged Charter of the Forest, commonwealth, fairness, Frantz Fanon, GDPR, mutuality, public agency, reciprocity, social charter for smart platforms, Thomas Paine on November 5, 2017 by gileslane.